I ran out of it about two months after they pulled it, and I couldn't find any left in the local supermarkets. Spaceman drinks and those open apple pies in a foil tin with a circle of fake cream around the top. Not really a product, but the Auckland music scene in the 80s. First, Hello Sailor at the Gluepot and Th'Dudes at the Windsor. Later, DD Smash at the Esplanade, Dance Exponents at the Wynyard, the Mockers at the Globe. Penknife Glides at Auckland Uni, Screeming Meemees at Zanzibar, Blam Blam Blam at the Reverb Room, Car Crash Set at the Asylum, Netherworld Dancing Toys at Mainstreet, the Chills at the Rhumba Bar. So many bands on on the same night it was hard to figure out where to go. Station wagons with bench seats in the front. Kiwifruta: Station wagons with bench seats in the front. 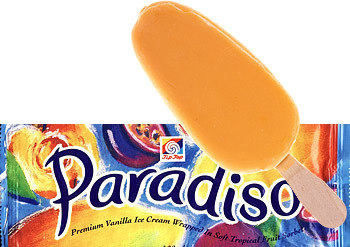 Paradisio Ice cream, I actually rang Tiptop and asked them if they would mind bringing it back for me, they said they would pass it on and thanked me for the call. Cherry Coke. Diet Coke with Lemon. Diet Coke with Raspberry, Pepsi Max Cease-fire Lime. 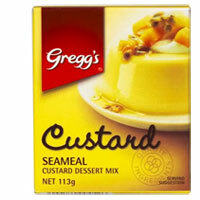 Looking through this thread there is an alarming desire for sugary stuff. This is a huge concern and needs urgent attention. Time to alert Fair Go. We've found it very good. We've had it not quite six months and despite it not looking that big it takes all our kitchen vegetable scraps and maybe 25% of our garden waste. We add a powdered compost booster and a bit of water every now and then, and in the last month have been getting some very good "soil" out of it that has gone back into the garden. Giving it a spin every couple of days is much easier than having to stir it up with a fork and makes it easy to drain off "compost tea". If I had a complaint it would be that having only one chamber you tend to get fresh scraps mixed in with with the well-composted material (although I'm sure that happens with all single chamber bins, which is why these exist) so I'm thinking of getting another one. I'd actually like one of these that Bunnings sell in Australia, but unfortunately not here. Actually I think they should be called racially ambiguous pies, we really don't want to offend anyone.